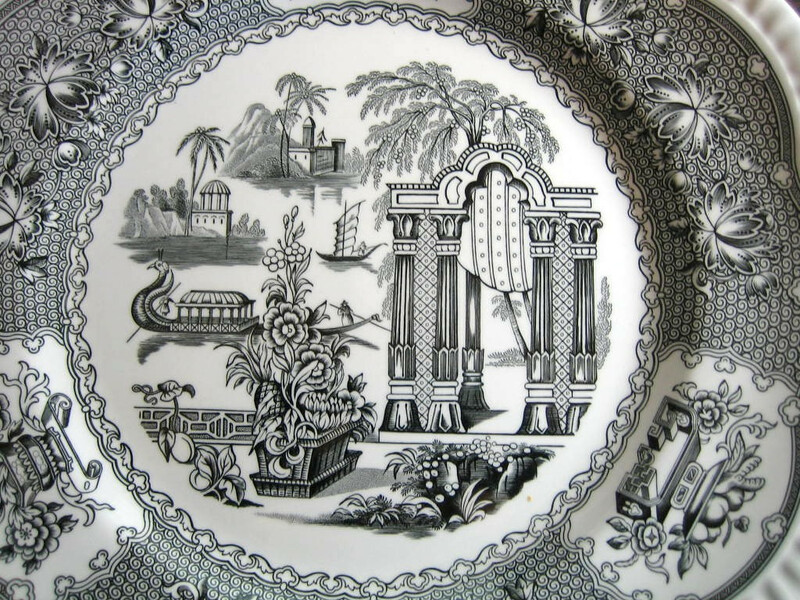 Click the button below to add the Black Toile Transferware Exotic Chinoiserie Plate to your wish list. 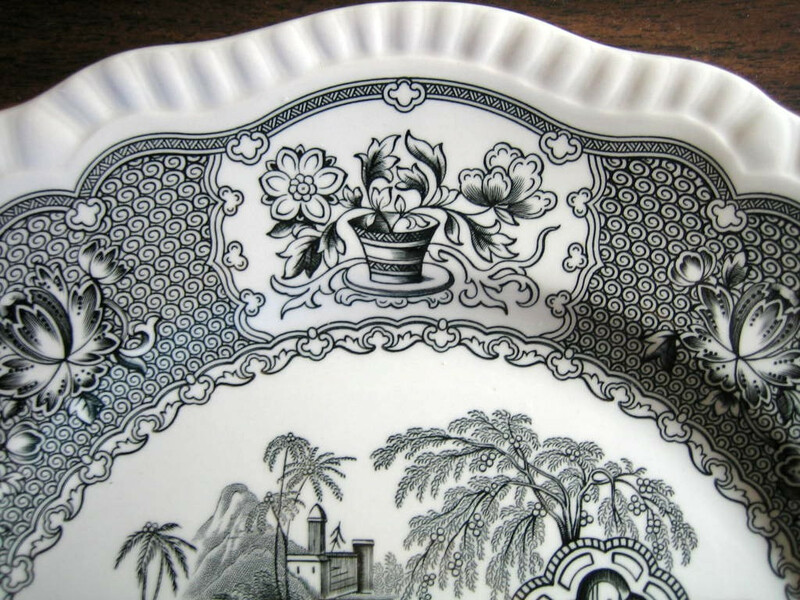 10.5 " Really beautiful motif in black on white. Nice fluted edge. Made in England.